Dying to Bloom was honored to be a 2018 FCA Sponsor. 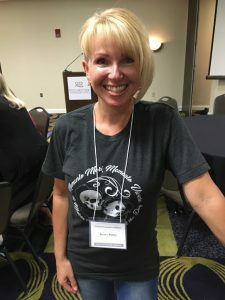 Proprietor, Kerry Potter, attended her first FCA Conference in Minneapolis in 2014 She was already a huge advocate of natural burial and has given many presentations in her community. “Being at the conference played an integral role in my decision to pursue my dream of opening my Natural Burial Boutique, Dying to Bloom,” Kerry said. Dying to Bloom is the first-of-its-kind retail store located along the Hudson River in Nyack, NY. Kerry opened the shop to contribute to the movement that is instigating change in the funeral industry’s current burial practices. She also founded the “Green Cemetery Fund” through the Rockland Community Foundation (http://www.rocklandgives.org/TypesofFunds.html) to help bring a land conservation green cemetery to the Rockland County/NY Metro area. Dying to Bloom (www.dyingtobloom.com) offers biodegradable burial products for people and pets. Shop online or in store! Products include unique biodegradable caskets, shrouds, urns, cremation jewelry and sympathy gifts. They are also the first U.S. retailer of the Sweet Goodbye Pet Burial/Cremation Kits.